I’m happy to announce that Handgun Skills is now offering three more NRA certified training courses! We have added the NRA Basics of Rifle Shooting, NRA Basics of Shotgun Shooting, and NRA Personal Protection Outside the Home Course. I’m attaching a copy of the course descriptions you will also find on the web site www.handgunskills.com, that includes a summary of what each course teaches and pricing for the courses. Unfortunately, due to what we are having to pay for gun range fees and NRA training materials we’ve had to increase prices a bit on some courses to be able to continue offering the courses. CHL CLASSES – Some prospective students have raised the question as to why should they pay us the same for the CHL course when they can go to a gun range and pay the same fee and not have to drive the additional 4.5 miles to a gun range when taking the class through Handgun Skills. The answer is we provide superior instruction to most gun range CHL classes. Our typical class is seven or eight students. The classes at gun ranges are typically twenty or more students with one instructor teaching the course. The gun range owner hires independent CHL instructors like us and pay a flat fee per day for teaching the classes. The instructors have no incentive to encourage students to take further training or come back to the gun range as a customer. In other words the gun range instructors have no vested interest in the students they teach. The focus is on how much income the gun range can generate, not necessarily quality training! We use a two instructor approach to teaching handgun classes and for the defensive courses there will be additional instructors, depending on the size of the class. Our students average scoring above 90 points out of 100 on the written exams for both the NRA courses and the CHL course. We’ve only had one student not qualify on shooting proficiency on their CHL qualification over the past couple of years. Our students leave the CHL class with a feeling of confidence of where they can carry a concealed handgun and when they can use force or deadly force in Texas. A lot of students who score the lowest on the CHL shooting proficiency are the students that are renewing their CHL license. They are also among some of the worst in gun handling skills. That is an indication they have not had any formal handgun instruction but have a license to carry and do not train or practice shooting regularly. It is pretty easy to pass the shooting proficiency requirements for a CHL license. I find that the majority of CHL students just want the license to carry and don’t put enough importance on defensive shooting training. The problem with that is should you be involved in a shooting incident the average time for the entire event is 3 to 5 seconds, involves five shots or less, and occurs at a distance of five yards or less. Ask yourself if you think you can access your concealed handgun and fire two accurate shots up to ten yards within 3 seconds. If the answer if no then you need training. Hopefully, you will never have to use your handgun in a defensive shooting incident but if you are unfortunate enough for that to happen you need to be trained to react by reflexive actions that only come from training. Handgun Skills offers a series of defensive training courses ending with the Two Day Defensive Handgun Course that teaches you to draw from a concealed holster and fire two accurate shots within two to two and a half seconds from 3 yards, 5 yards, 7 yards, and 10 yards. The recommended sequence of training courses leading to being skilled enough to survive most critical shooting incidents is: NRA Basic Pistol Shooting, Skill Building, NRA Personal Protection in the Home, NRA Basic Personal Protection Outside the Home, and the Two Day Defensive Handgun Course. While those courses do not reach the level of intensive tactical training they do provide a student with the skills to survive most critical shooting incidents. We offer some discounts on bundled defensive shooting courses You can sign up for the Skill Building Course, NRA Personal Protection in the Home, and NRA Personal Protection Outside the Home for $320, a savings of $60 over taking the courses individually. We have scheduled the NRA Personal Protection in the Home and NRA Personal Protection Outside the Home Courses for to run concurrently on Nov 29, Nov 30th, and Dec 1st. We have slots still available for those dates. If you want to bundle the three courses for $320 and complete them on Dec 1st then I can do a small unscheduled class prior to Nov 30th. UNITED STATES CONCEALED CARRY ASSOCIATION (USCCA) – If you hold a CHL license or even if you don’t I highly recommend joining USCCA. The benefits are twofold: One, you receive a magazine eight times a year that in free of paid ads and is full of training articles written by some of the nation’s leading handgun instructors, doctors who write articles on treating wounds, lawyers that write articles about the legal aspects of a shooting incident, and reviews on guns and products that USCCA endorses without being paid to endorse them. Two, you become a covered member under a master insurance policy owned by USCCA that provides legal protection in the event you are involved in a shooting. Depending on the level of membership you choose you can receive from $25,000 up to $300,000 in legal assistance. That coverage is far less expensive than obtaining individual liability insurance coverage, which is difficult to place and is very expensive. Their web site is https://www.usconcealedcarry.com. The training articles are excellent and introduce readers to new training exercises and equipment with every publication. Election Outcome & Influence on Guns – From my observations the movement to restrict sales of assault rifles and limiting the magazine capacity has already begun. Diane Feinstein, the senior Democratic Senator from CA in the process of introducing legislation to reinstate the assault rifle ban and any magazines with a capacity over ten rounds. Gun range operators are telling me that business was very brisk the days after the election with above normal gun sales and registrations from CHL classes. President Obama stated in the presidential debates that he is in favor of the assault rifle ban in the US and hopes to re-enact the legislation that makes it illegal for rifles and handguns with high capacity magazines to be sold. I don’t foresee a gun registry being established but I do believe we are going to see more restrictions on gun sales and possibly ammunition sales over the next four years. Handgun Skills Road Map – I started Handgun Skills because I saw the need for training with most CHL holders and wanted to offer a series of courses that are certified by NRA as good foundation courses for people to acquire the needed knowledge, learn the necessary skills, and proper attitude to be safe but competent in shooting their guns, whether it be for recreation, hunting, or defensive shooting. From my experience I have found that most non-NRA firearms courses are based on the principals taught in the NRA basic courses, with more advanced techniques added. I don’t believe there are any better courses than those certified by NRA to build a foundation in shooting firearms. Handguns Skills now offers instruction in six of the most popular NRA certified courses. We are not big and do not aspire to be a big training company but we do aspire to offer quality instruction with a personalized touch. We are about smaller classes with more individual attention to each student, not profit and numbers! 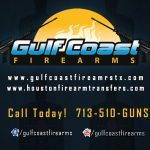 Gulf Coast Firearms – As most of you know I am aligned with Gulf Coast Firearms, owned by my associate firearms instructor, David Gaines. We have a booth at the Hi-Caliber Gun Shows held at Conroe Convention Center seven months of the year. We sell guns and promote training at the gun shows. Gulf Coast Firearms is a small independently owned company, operating at low overhead, to enable David to sell guns at internet pricing or below. If you hold a CHL license you don’t have to wait for a background check to be done to purchase a gun; it is just fill out the federal form, show your CHL license and driver’s license, pay, and take the gun immediately. David typically has an inventory of forty five guns that are in demand to sell daily and at each gun show and we offer advice, as instructors, on what might be a good choice in the purchase of a gun. Most buyers do not know what they need to consider when buying a gun and we talk to each prospective buyer as instructors in helping them choose the right gun for their intended shooting. We tell them when we don’t have the right gun for them and where they might find the right gun, even though that sometimes helps David’s competitors sell guns. The next Hi-Caliber Gun Show in Conroe is Nov 24th & 25th, the Saturday and Sunday after Thanksgiving; hope to see some of you there!